As everyone knows now, an Andean volcano in Chile, Chaitén, erupted this past week. We’ve all seen those spectacular images and The Volcanism Blog continues to deliver great update posts. So, for this week’s Sea-Floor Sunday, I quickly created this simple image using GeoMapApp. 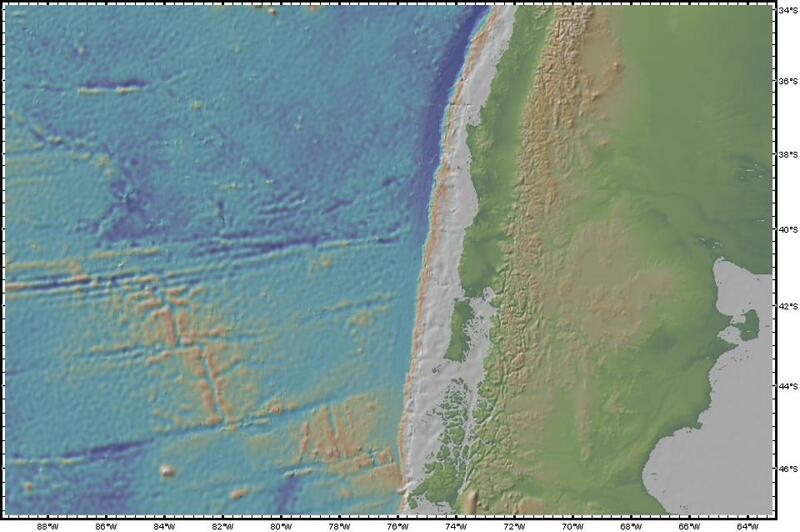 I thought a regional map of topography and bathymetry might be a nice complement to all the other images for Chaitén. To see global map of plate boundaries, check out this map. Geology.com has a great page with maps, images, and video for the Chaitén eruption here. 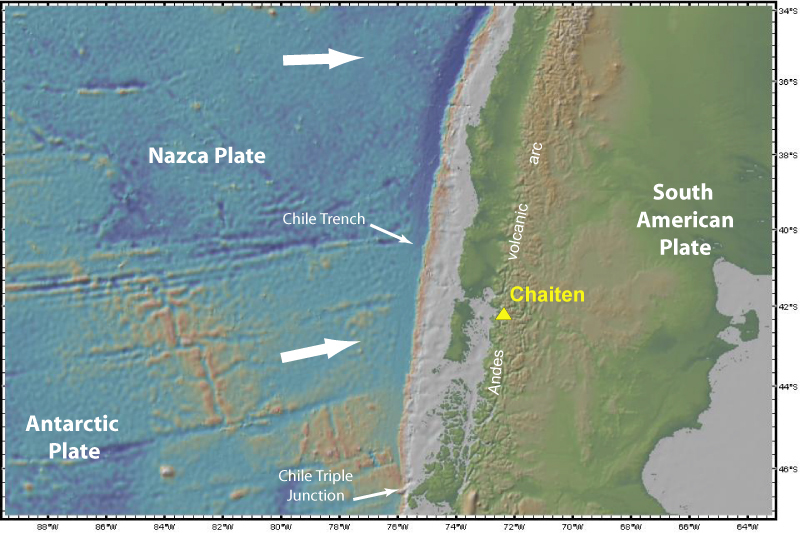 The Volcanism Blog has a post summarizing Chaitén web resources as well. Some months ago I posted about antarctica volcanoes in my italian blog and it was somehow difficult to understand something about Scotia plate. Is it possible that Nazca and Scotia plate were the same plate now separated because the middle part of the plate has been all subducted beneath South America? Aldo … the Chile triple junction (shown on diagram above) has migrated north over the last few 10s of millions of years, and its relationship to the evolution of the Scotia Plate and the Shackleton fracture zone are complicated. I can’t answer your question off the top of my head … I will do a bit of digging around. If anyone else wants to chime in, go for it!